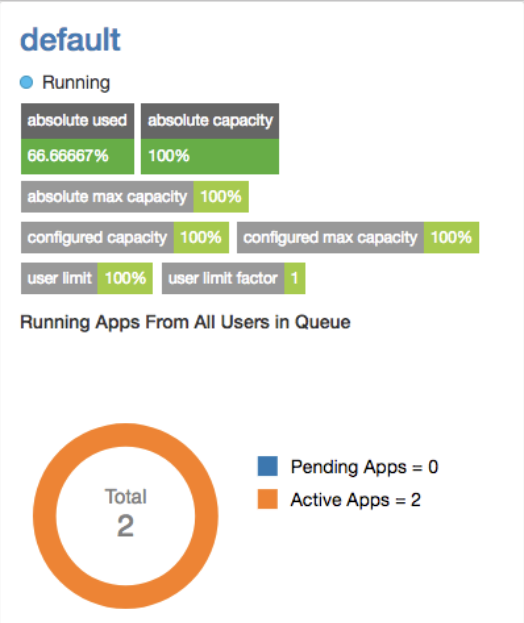 In the capacity scheduler view, click the circle that represents a particular queue. The right column of the page gets updated with details of that queue. You can double-click the queue to view its details on a separate page. You can also view details of any application submitted to that queue by clicking its corresponding Application ID.